Chinese and US officials will convene a fresh round of negotiations on Monday aimed at ending the trade war between the world's two largest economies, as pressure mounts in both countries amid a fast-approaching deadline. While both sides appear more willing than ever to address the deep-rooted divisions over a wide range of issues to avoid further escalation of the trade standoff, tensions could persist as the US continues to send mixed signals, Chinese analysts said Sunday. A US delegation led by Deputy US Trade Representative Jeffrey Gerrish is due to arrive in Beijing on Monday to kick off deputy-level negotiations, according to official statements from China and the US. That will be followed by higher-level talks between the two sides on Thursday and Friday, the statements said. The Chinese team will be led by Vice Premier Liu He, while the US delegation will be led by US Trade Representative Robert Lighthizer and US Treasury Secretary Steven Mnuchin. Since the leaders of the two countries reached a truce in December 2018, this is the third round of talks between Chinese and US officials in 2019, reflecting the urgency with which the two sides are treating the negotiations. It follows high-level meetings on January 30 and 31 in Washington, where both sides hailed important progress, and a round of mid-level talks in Beijing in early January. The negotiations also come less than three weeks before US tariffs on $200 billion worth of Chinese goods are set to automatically increase from 10 percent to 25 percent on March 2, if the US does not make any adjustments. Citing a level of eagerness for a solution that has not been seen before, analysts expect that officials will reach at least a framework agreement before the deadline. "Given the hard efforts by both sides, it shouldn't be a problem to reach a framework agreement before March 1," Dong Yan, a research fellow at the Chinese Academy of Social Sciences, told the Global Times on Sunday, noting that pressure is building for a deal to be reached. Some analysts pointed to the fact that the two sides scheduled meetings for the first working day after the Chinese Lunar New Year holidays and that the decision to hold mid-level talks before the higher-level ones is proof that officials are eager to see concrete progress. "This shows that negotiations have reached a very deep level where both sides are poised to iron out specifics," Dong said, "Both sides, especially the US side, know that further escalation will be no good for anyone." Chen Fengying, a research fellow at the China Institutes of Contemporary International Relations, said she is optimistic about a "phase-based" framework agreement before the deadline. "Through the several rounds of talks, we can see that both sides have formed certain consensuses or understanding on some structural issues," Chen told the Global Times on Sunday. However, the prospect of a potential China-US trade deal was clouded by mixed signals from the US over the past week. On Thursday, US President Donald Trump said that he would not meet Chinese President Xi Jinping before the March 2 deadline as planned during the last round of talks, US financial news outlet CNBC reported. "I don't think we should read too much into this. After all, the negotiations are about trade and compromises. Whether the two leaders meet or not should not be a deal breaker," Chen said. 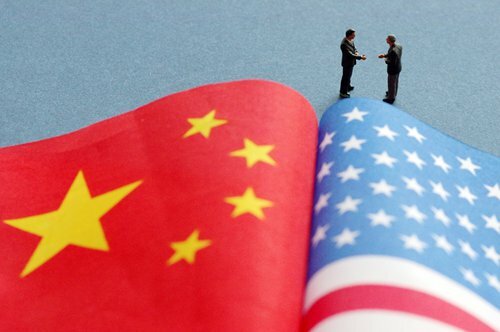 Also, in a move that reflects deep divisions between China and the US over trade, the office of the US Trade Representative released an annual report on China's WTO compliance on February 4, which repeated the US' long-held grievances against China regarding market openness, intellectual property rights protection and other issues. That drew swift protest from China. "A considerable part of the report contains accusations against the Chinese side that exceeds our promises when joining the WTO and lacks legal and factual basis," China's Ministry of Commerce said in a statement on Tuesday. Analysts also expect increased tensions amid bitter fighting over technology, as Trump is reportedly set to sign an executive order this week banning Chinese telecom equipment from US wireless networks. This is apparently intended to send a signal to global telecom operators before the Mobile World Congress, the world's largest conference for the telecom industry, scheduled for later this month in Barcelona, Spain. "China-US trade ties are very complicated. Even if we reach agreement, there will still be tensions that require constant consultations between the two sides," Dong said.